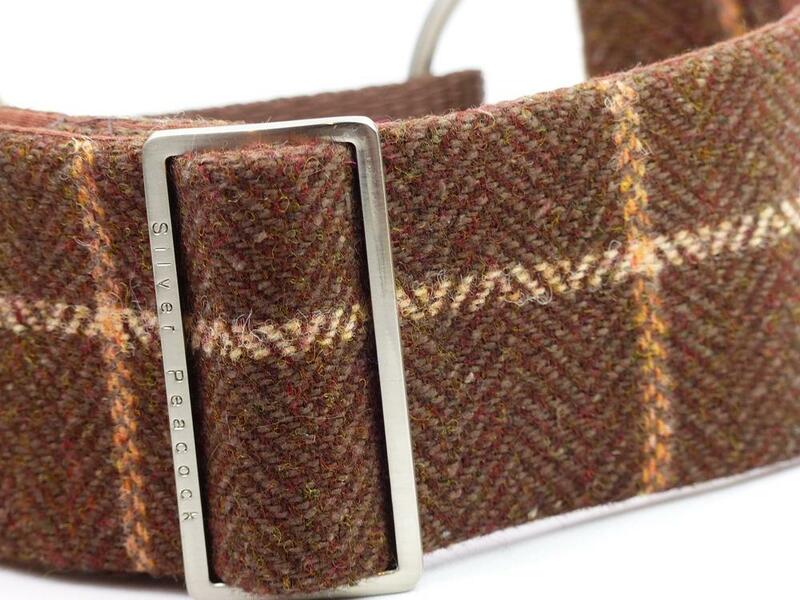 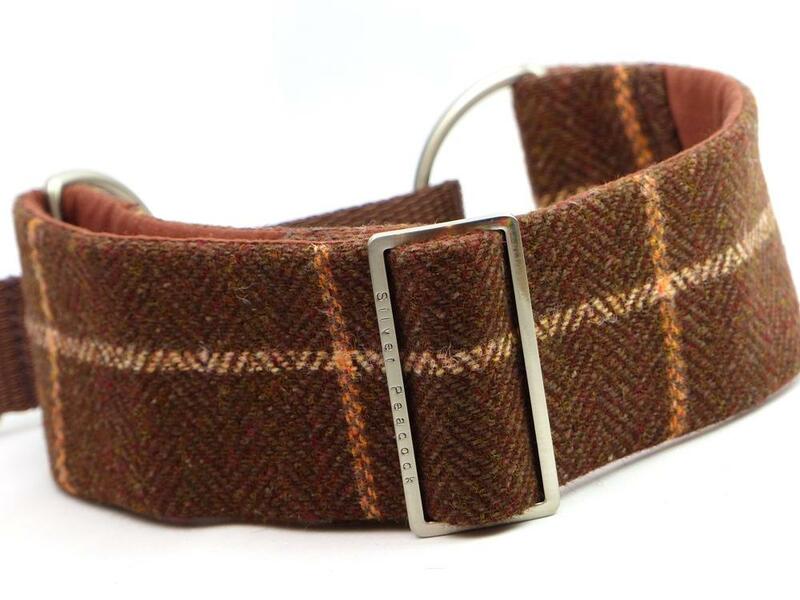 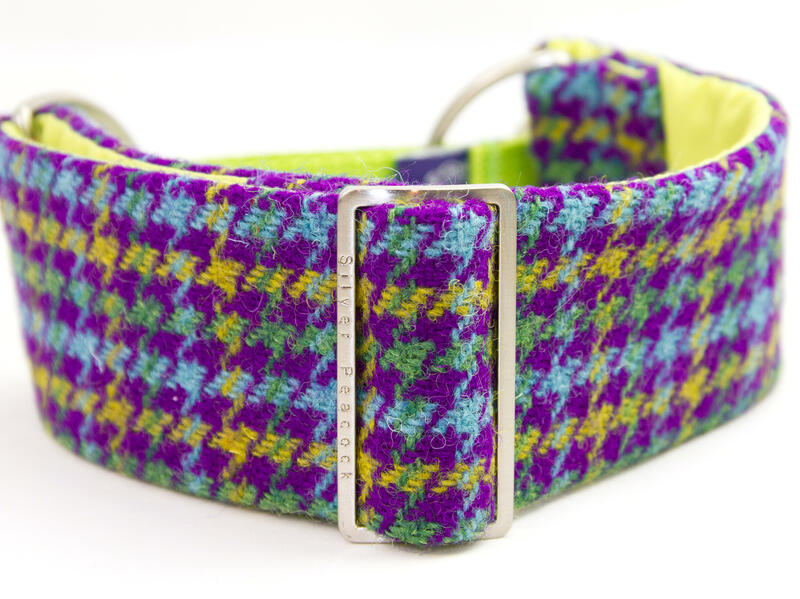 A classic tweed perfect for that country lady or gent! 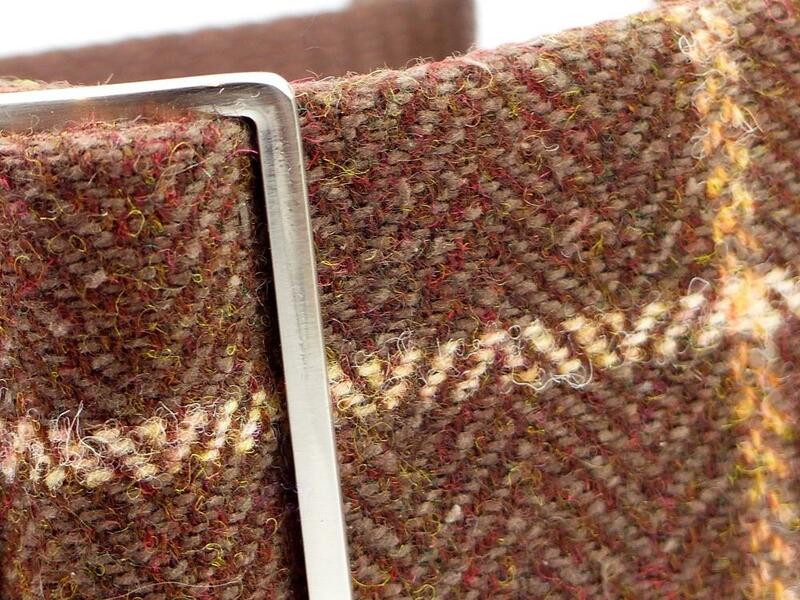 Made from 100% wool tweed, woven in Yorkshire, the fabric is a herringbone design in a mix of chocolate, coffee and burgundy with an over-check of ivory and pale orange. 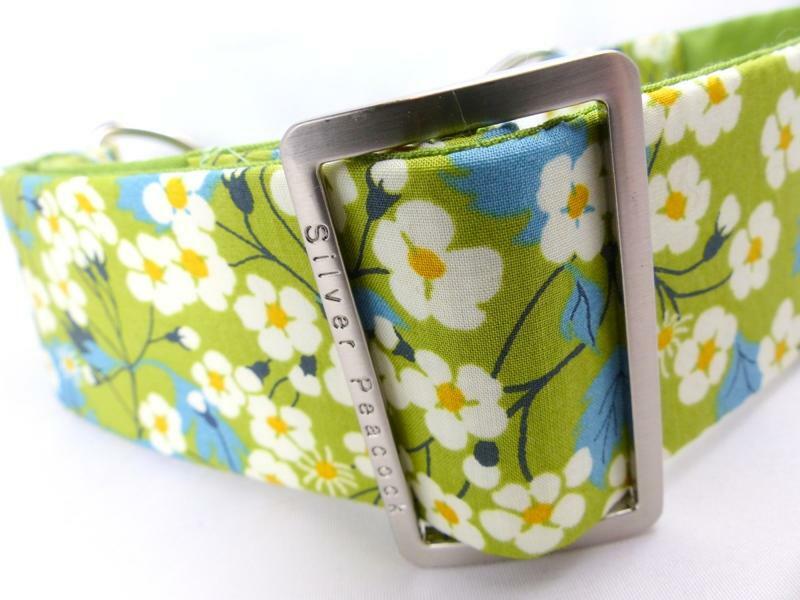 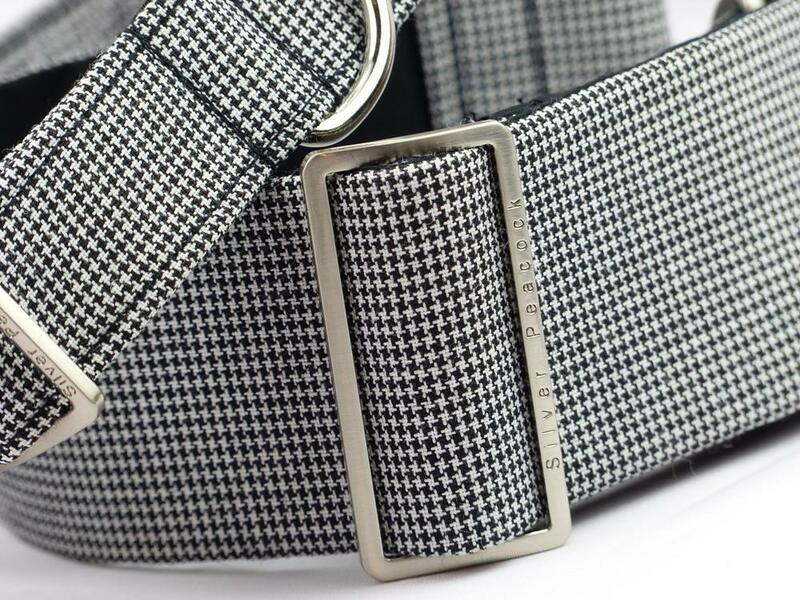 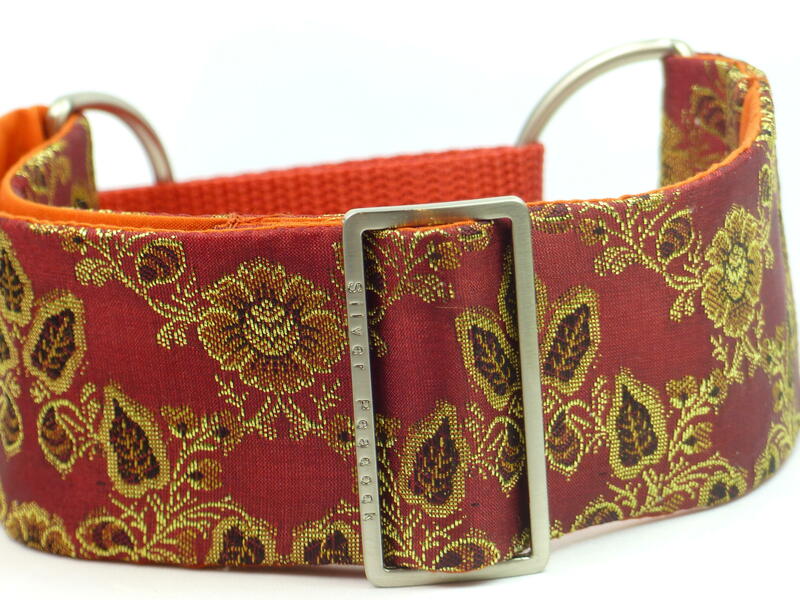 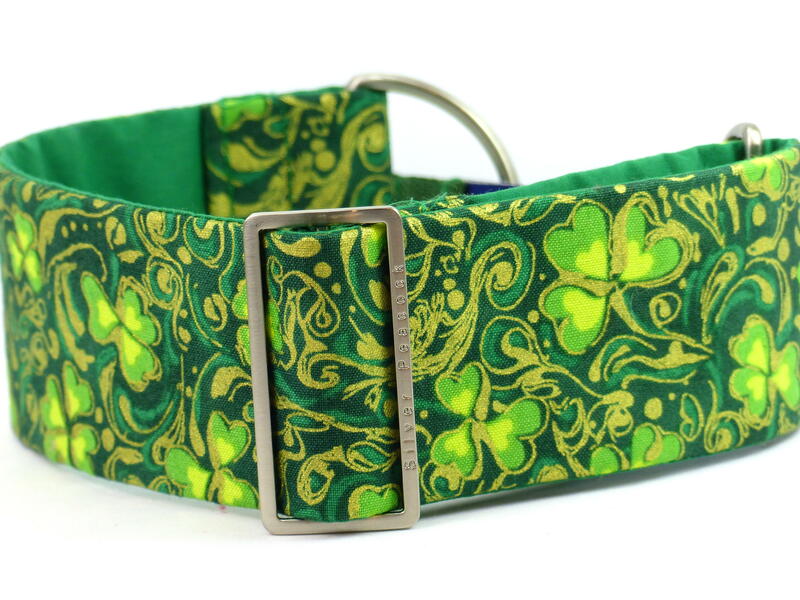 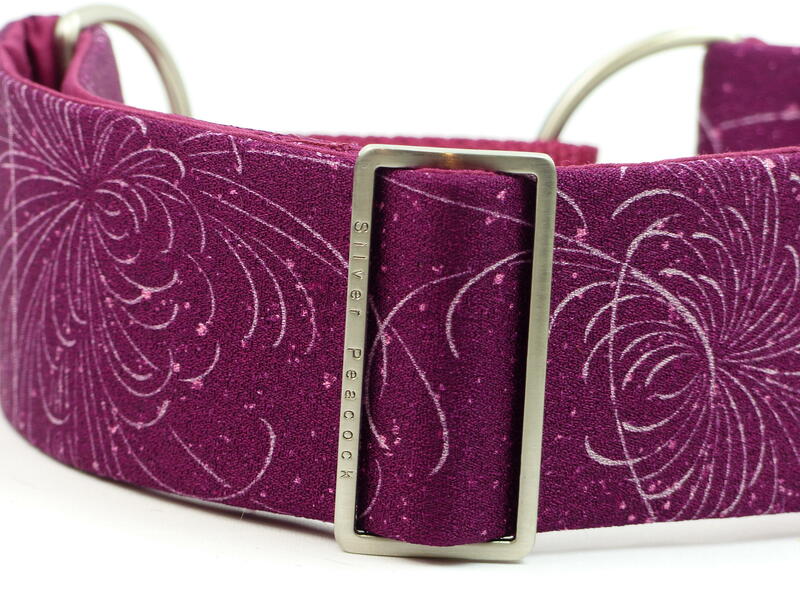 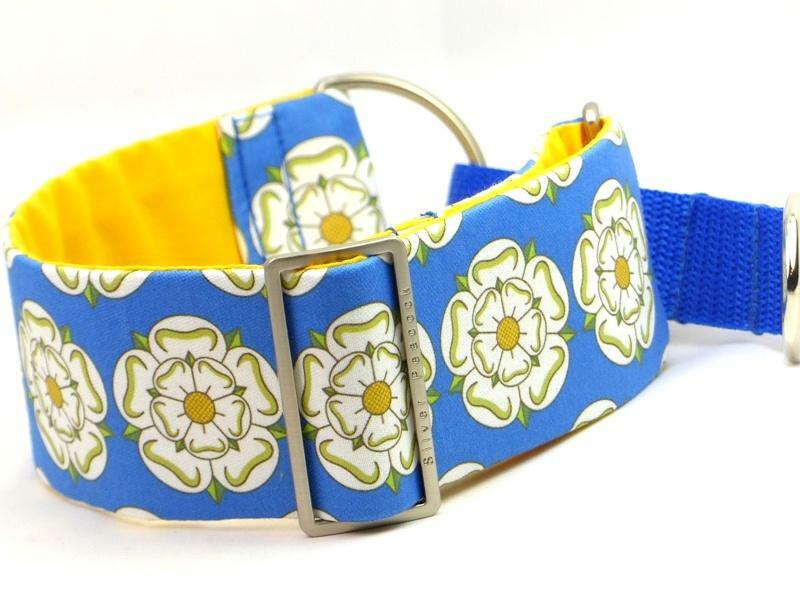 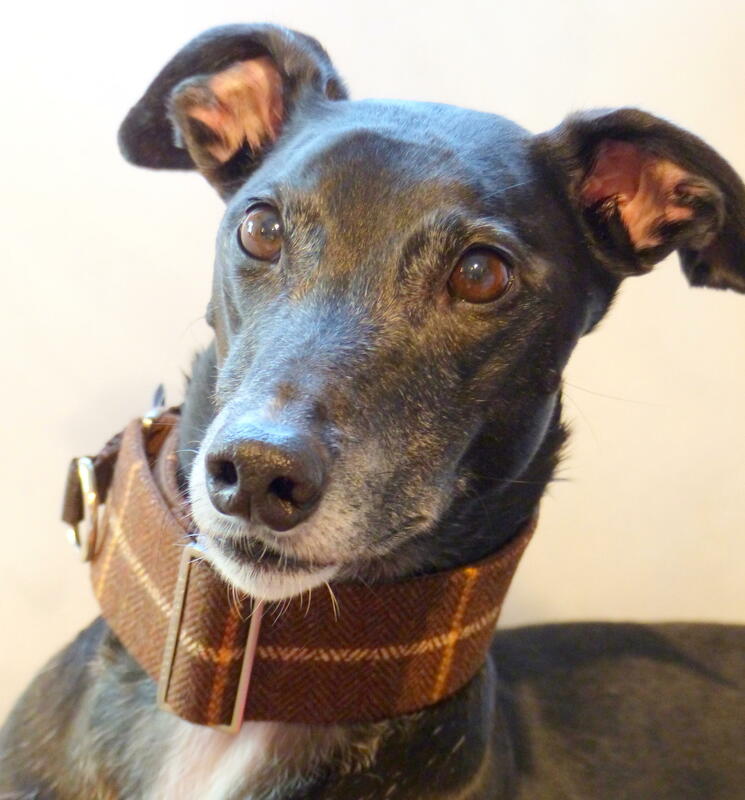 The collar is lined in complementary chocolate fabric and is finished with robust silver coloured hardware and a chocolate webbing section.